Green isn’t usually a color you associate with Los Cabos – a desert/mountain region. However, one of my favorite spots is the San Jose del Cabo Estuary, just to the east of the town of San Jose del Cabo. The fresh water trickles down from the mountains via the Rio San Jose. Spanning over 120 acres, this lush green paradise is great for bird watching and exploring. 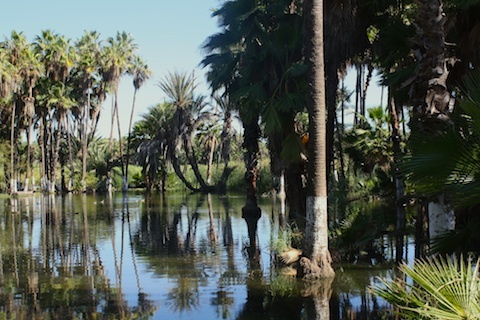 Have you visited the San Jose del Cabo Estuary?